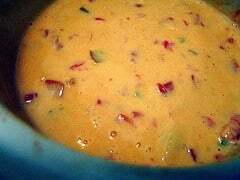 Rotel Cheese Dip is a classic for gatherings. Michelle Caponera submitted this recipe; she states that she is frequently requested to make this for every event imaginable. It is excellent with tortilla chips, Frito’s as well as over scrambled eggs and burritos. Photo by Karin Hildebrand Lau from Shutterstock Photography. 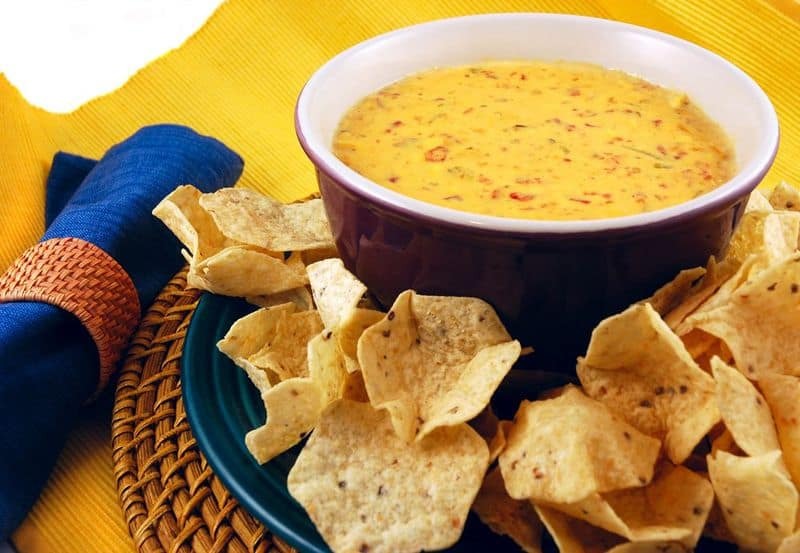 Who doesn't love Rotel Cheese dip? Dice the cheese and place in a large saucepan. Mix in the 2 cans of diced chili's and tomatoes one at a time. Simmer over low-medium heat until cheese is melted and all ingredients are mixed in nicely. Stir in the garlic powder. If this seems a bit runny from the juices, you can put in a teaspoon or so of cornstarch to thicken the dip. This gets better each day it is refrigerated. I second the recommendation on no garlic powder.